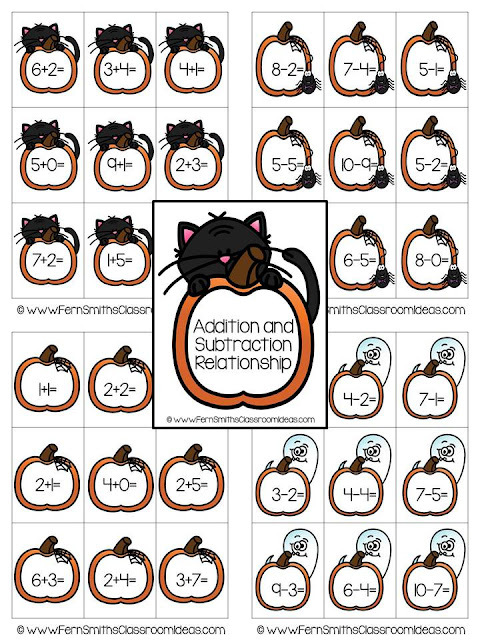 Halloween - Addition and Subtraction Relationship - Fern Smith's Classroom Ideas! 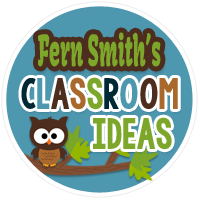 This math resource includes ~ Center cover, math center sign, four pages of playing cards, student directions and a self-checking answer key. I've also created two more Halloween Quick and Easy to Prep Centers this week! These center games are perfect for Match Game, Go Fish, Concentration, Sorting, Matching, Scoot, Exit Cards, Flip Charts... the possibilities are endless! Once you teach your class the different ways to play my centers, they will no longer need directions and have more time to focus on the skills being taught!